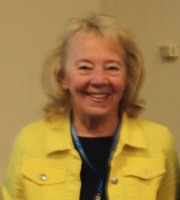 A new primarily distance education Master's degree program was focused on the development of technological pedagogical content knowledge (TPACK) for integrating appropriate digital technologies in mathematics and science classes. In this mixed-method multiple case study, we documented in-service K-8 teachers’ perceptions of their TPACK development through surveys and interviews. In addition, we conducted classroom observations to assess the degree of alignment between these perceptions and actual practice. The results indicated that teachers’ perceptions of their TPACK development were generally positive, but were not always supported by evidence from classroom observations. This research indicates the importance of using multiple lines of evidence when investigating complex constructs such as TPACK and discusses possible reasons for lack of alignment between perception and practice. Staus, N., Gillow-Wiles, H. & Niess, M. (2014). TPACK Development in a Three-year Online Masters Program: How Do Teacher Perceptions Align with Classroom Practice?. 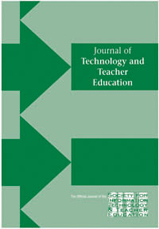 Journal of Technology and Teacher Education, 22 (3), 333-360. Waynesville, NC USA: Society for Information Technology & Teacher Education. Retrieved April 20, 2019 from https://www.learntechlib.org/primary/p/114342/. Borko, H., Stecher, B., & Kuffner, K. (2007). Using artifacts to characterize reform-oriented instruction: the Scoop Notebook and rating guide. (technical report 707). Los angeles: ca: National center for research on evaluation, Standards, and Student testing, (eric document reproduction Service No. Ed495853). Dornisch, M. (2013). The digital divide in classrooms: teacher technology comfort and evaluations. Computers in the Schools, 30(3), pp. 210-228. Koehler M.J. & Mishra, P. (2005). What happens when teachers design educational technology? the development of technological pedagogical content knowledge. Journal of Educational Computing Research, 32(2), 131-152.